Thanks for your great response to the giveaway! Just to confirm again, it is definitely international. I'm happy to post the prizes anywhere. I recently wrote a short story for Vogue India's sixth anniversary issue, and I thought you guys might like to see it while you wait for the sequel to The Bone Season. The issue is centred around the colour black, and I was asked to write a story set in India with the theme "dark" or "black". In the style of The Bone Season, I came up with a dystopian fantasy, this time set in Jaipur-2, a fictional version of the Indian city of Jaipur. The story is called Amrita, from a Sanskrit word (अमृत) referring to a drink (or "nectar") that grants immortality, and is based on Hindu mythology. It isn't related at all to the universe of The Bone Season, but I hope it will appeal to readers who enjoyed the novel's mix of genres. 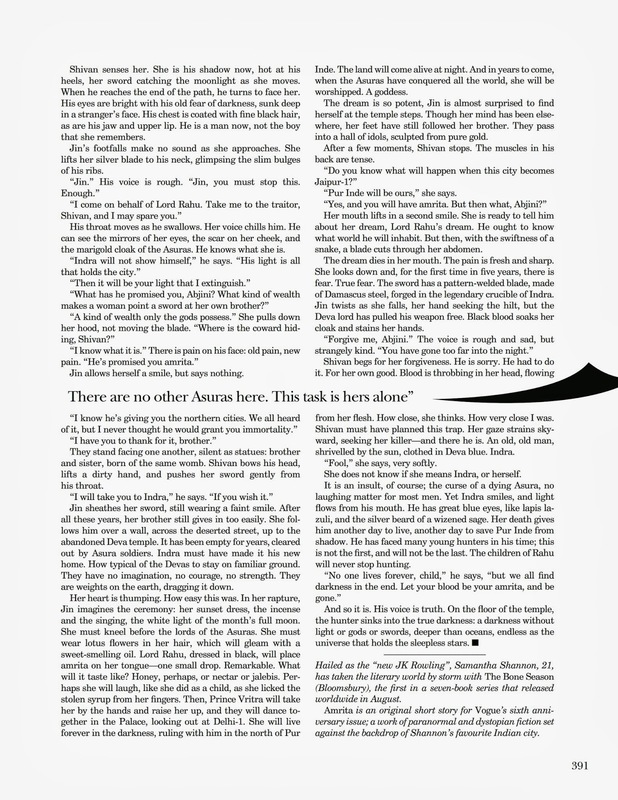 Unfortunately the story isn't available online, unless you have a subscription to the magazine's digital edition, but Bloomsbury India have been kind enough to scan the pages for me. You can click the images to enlarge them or save them to your computer and zoom. Amrita is my first published short story and my first attempt at writing in present tense and third person simultaneously. I hope you enjoy it. In other news, I'm now almost 40,000 words back into The Bone Season's sequel. Back on the writing horse, I am. In Hindu mythology, the asuras and their half-siblings, the benevolent devas (or suras) are two kinds of deity that are perpetually at war. In some texts, the asuras are considered "bad" while the devas are "good", but it is suggested in the ancient Puranas that they were born of the same father, Kashyap. This is great, thanks for sharing. And the 40 000 words sound perfect! ;) How does it feel to write now when so many people are waiting for your next book? It's quite nerve-racking. I don't want to let people down who are fans of Book 1! I'm reading chapter 17 now, and I love The Bone Season more and more every day! Your writing is amazing. You've created such an original world that takes my breath away all the time. First of all, It's really amazing too see you right a short story set in India. It's very rare to see an Indian city as a backdrop for a dystopian thriller. Western authors have always fancied fictional cities or European cities. Also amazing is the writing. Being an Indian, I am happy you got the names right. Again western authors do get confused about our gods ( We Hindus worship a lot of them!!). I am really looking forward to The Bone Season sequel and as a fan I also hope that one book in the 7 part Bone season saga is set in an Indian city( I come from an amazing city in South India called Chennai btw). I'm so relieved I got the names right! I'm not too familiar with Hindu mythology and I had to do my research quickly to write the story, and I was terribly worried about getting something wrong (I usually like to have a firm grasp on a culture before I write about it). 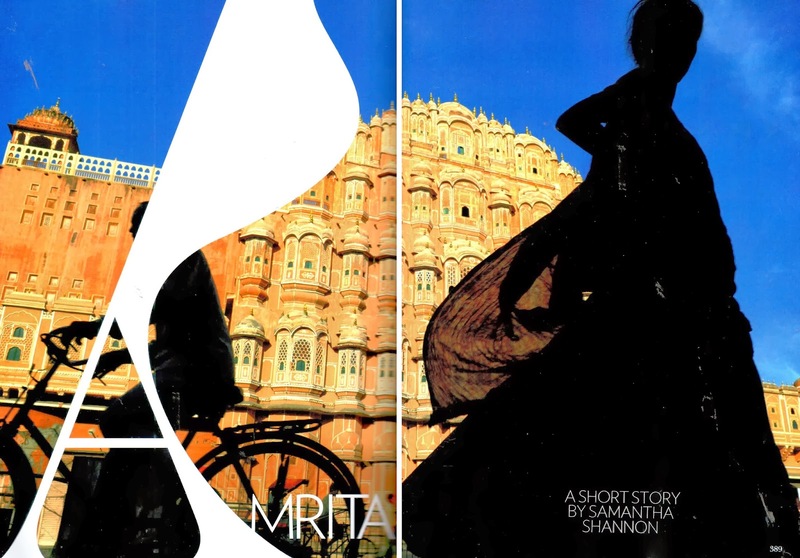 It was great fun to write a story set in India. I'm actually coming to Chennai in January for The Hindu's Lit for Life festival. Very excited. 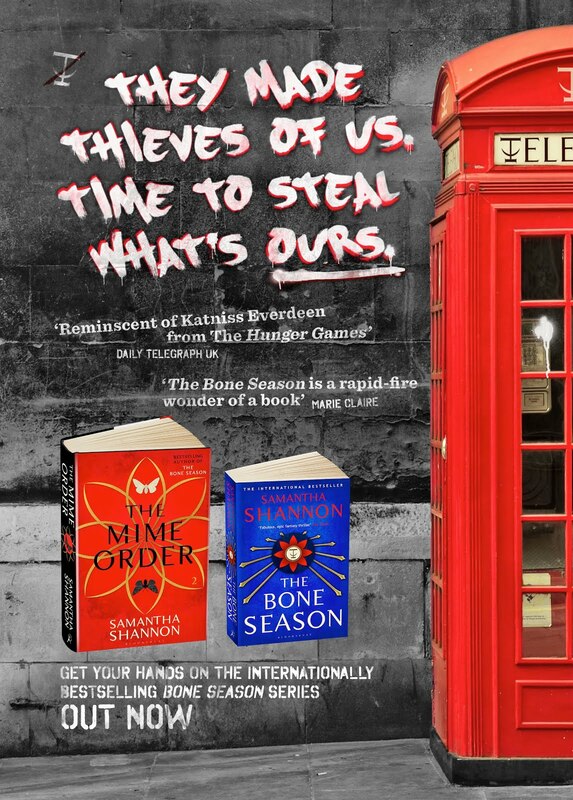 How's the sales success been with the Bone Season so far? Haven't seen it out here in the US book shops yet...waiting!! It should certainly be available in US bookshops! If your local bookstore doesn't have it then you can order it. Thanks! And thank you for reading it. Congratulations on the short story! You did amazing work, as always. And yay for The Bone Season sequel -- I can't wait to read it and have more Warden in my life.